What proof is there that Kidpower actually works? Kidpower programs and curriculum have been developed and are continuously reviewed to ensure that we provide consistently evidence-based and effective personal safety training and curriculum for educators. 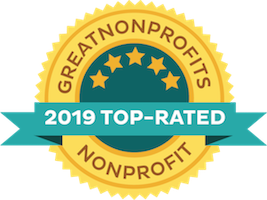 Additionally, the spontaneous feedback and formal evaluations from workshop participants – be they parents and kids, educators, law enforcement, mental health, or child development professionals – has been overwhelmingly positive since our establishment, with almost everyone who has had direct experience with our services giving Kidpower a very high rating for relevance, effectiveness, and competence. Kidpower programs have been studied independently as well as undergoing frequent review to ensure that they align with evidence-based prevention and positive child/youth development best practices. In addition to regular participant evaluations, Kidpower programs have undergone multiple formal research studies and evaluations by independent evaluation professionals in the US, Canada, and New Zealand. We continue to conduct evaluation studies in order to ensure that our services accomplish our objectives, have lasting impact for our participants, and maintain a high level of quality as we grow. Most recently, a well-documented article, Empowering children with safety-skills: An evaluation of the Kidpower Everyday Safety-Skills Program, was published in the September 2014 issue of academic journal Children and Youth Services Review, with full public access as long as the study title, journal,and authors are cited. Authors are: Assistant Professor Alaina Brenick, Phd, of the University of Connecticut, Julie Shattuck of Applied Research + Evaluation, Alice Donlanc, Shinchieh Duhd, Professor Eileen L. Zurbriggen, Phd, of the University of California at Santa Cruz. The article includes a thorough literature review demonstrating how the Kidpower program “uses best practices in victimization risk-reduction and prevention” and an independent analysis of the findings of the “The Effects of the Kidpower Everyday Safety Skills on Third Grade Children” demonstrating the effectiveness of the Kidpower program in teaching safety skills to children. Before that, the independent study was presented at the Society for Research in Child Development’s Biennial Meeting, which shows that Kidpower’s Every Day Skills Program “significantly increases children’s safety skills knowledge” and that 31% of Kidpower students showed improved safety skills and knowledge over a three months, compared with a comparison group of children who had not taken Kidpower (until after the study, since we couldn’t bear to have them miss out on the training)! 2013 “Promoting Safety Skills in Children: A Quasi-experimental Evaluation of the Kidpower Everyday Safety Skills Program.” Brenick, A., Shattuck, J., Donlan, A., Duh, S., & Zubriggen, E. (2013, April). Poster presented at the biennial meeting of the Society for Research in Child Development, Seattle, WA on April 18, 2013. 2014 Empowering children with safety-skills: An evaluation of the Kidpower Everyday Safety-Skills Program, published in the academic journal Children and Youth Services Review with full public access as long as the study title, journal,and authors are cited. Authors are: Assistant Professor Alaina Brenick, Phd, of the University of Connecticut, Julie Shattuck of Applied Research + Evaluation, Alice Donlanc, Shinchieh Duhd, Professor Eileen L. Zurbriggen, Phd, of the University of California at Santa Cruz. 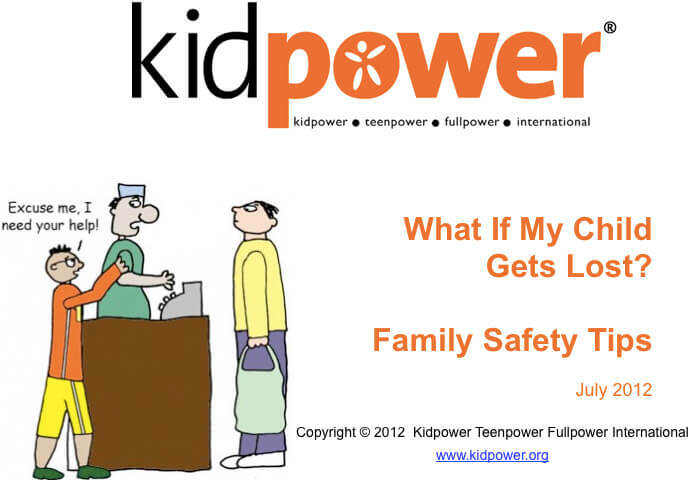 2013 Promoting Safety Skills in Children: A Quasi-experimental Evaluation of the Kidpower Everyday Safety Skills Program. Brenick, A., Shattuck, J., Donlan, A., Duh, S., & Zubriggen, E.. (2013, April) Poster presented at the biennial meeting of the Society for Research in Child Development, Seattle, WA. An independent study showing that the Kidpower Everyday Safety Skills program improves children’s safety skills knowledge by learning and retaining protective skills for setting boundaries, getting help and stranger safety, was presented April 18, 2013 at the 2013 Society for Research in Child Development Biennial Meeting in Seattle; a conference of 6,500 national and international leading child development professionals, policymakers, practitioners, and researchers representing all fields related to child development. The study shows that children who participated in Kidpower’s Safety Skills Program had significantly higher safety skills knowledge after the program and that 31 percent more of the Kidpower students improved their safety skills knowledge over three months, compared with a comparison group of students who did not receive the Kidpower training until after the study was completed. The presentation, “Promoting Safety Skills in Children: A Quasi-experimental Evaluation of the Kidpower Everyday Safety Skills Program,” was displayed as a poster and discussed by Dr. Brenick at the conference. The presentation and a separate manuscript, which is currently under review by an academic journal, are co-authored by Brenick; Julie Shattuck, Founder and Principal at Applied Research + Evaluations, who designed and conducted the study; Alice Donlan, Post-doctoral Research Associate at the Center for Promise, Tufts University; Eileen L. Zurbriggen, Professor of Psychology, and Shinchieh Duh, Graduate Student in Psychology, at the University of California Santa Cruz. In 2010, thanks to a grant from the Ruddie Memorial Youth Foundation, the firm of Applied Research + Evaluation conducted a study on a population of 238 third-grade children in Santa Cruz County that presents evidence of effectiveness of the Kidpower Everyday Safety Skills Program. The researcher utilized a quasi-experimental, time series research design with a matched comparison group. The Kidpower school-based workshop and follow up “booster” sessions were designed to help youth build self-esteem and learn how to prevent bullying, harassment, and violence, thus reducing the risk of victimization and lessening their likelihood of becoming perpetrators during their lifetimes. The findings demonstrated that the two-hour training and reinforcement activities positively contributed to an immediate increase in children’s safety knowledge and that the effect was retained three months after the workshop. The findings demonstrated that children in the treatment group increased their safety skills knowledge in seven core competency areas that were not present in the study’s control group. These results supported our hypothesis that children’s safety knowledge was enhanced significantly by the Kidpower Everyday Safety Skills program. 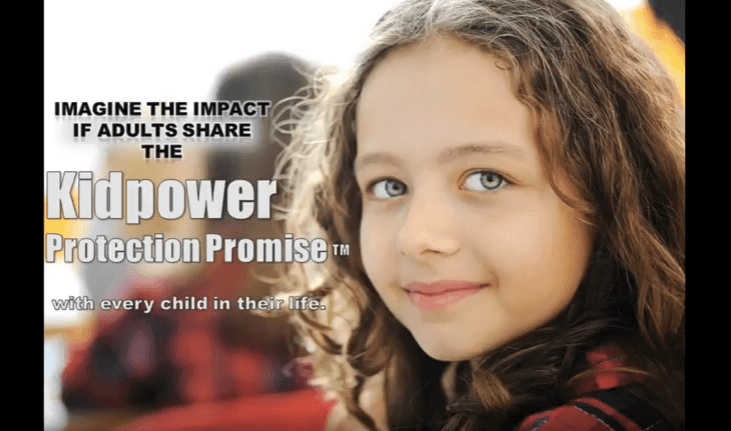 This study extends the evidence that Kidpower’s school-based safety skills program can enhance protective factors associated with preventing and stopping most bullying, molestation, violence, and abduction. In 2006, The Colorado Trust contracted with JVA Consulting, LLC of Denver, Colorado to conduct an evaluation of program outcomes from 2006 to 2008 of the Kidpower Personal Safety Skills Project implemented by Kidpower of Colorado. The Personal Safety Skills Project, a four-year project funded therough the Colorado Trust Bullying Prevention Initiative, was specifically designed to be appropriate to children with developmental disabilities as well as their parents and teachers to reduce bullying, exploitation and abuse of students with special needs. The youth population served included special education students in grades k – 12 from El Paso County School Districts 3, 20, 11, and 49. Quantative analysis of both instructor and evaluator-ratings revealed a high level of student skill acquisition, particularly related to understanding safety rules with strangers, ability to set physical and emotional boundaries with touch and teasing, and knowledge of how to get help from adults when needed. Parent surveys revealed high levels of confidence in their ability to help their children understand the safety rules with strangers and having the resources to keep their children safe after participation in the program. Qualitative observation of Kidpower workshops revealed that workshops were delivered with concurrent high levels of fidelity to a conceptual model, noted ability to hold the attention of students with a wide range of abilities and needs and responsiveness to individual students’ abilities, circumstances and necessary accommodations. In 2006, Sylvaine Raymond, an independent university researcher in Quebec, carried out a quantitative scientific evaluation with 130 four- and five-year-olds in daycare in the Vieux-Longueuil borough. 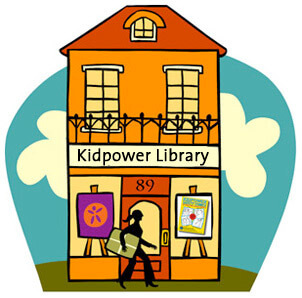 The evaluation clearly demonstrated Kidpower’s ability to implement a program throughout different groups and daycares successfully and consistently with great satisfaction from all parties involved. The evaluation also demonstrated that Kidpower skills produce a globally positive effect on children, beyond their natural learning over time, as well as a positive modification of children’s behavior. It was noted that the children improved particularly in their ability to set boundaries, better handle conflict situations, and adopt safer behaviors. KIDPOWER Daycare Project in Vieux-Longueuil Borrough (« Pouvoir aux tout-petits! Project) Summary Translated by Marylaine Léger, Kidpower Montreal. In 2006, a qualitative scientific evaluation done by Sylvaine Raymond, an independent university researcher, was done in Quebec with children of 4 and 5 years of age attending daycare in the Vieux- Longueuil borrough, along with their parents and caregivers. The evaluation was funded thanks to a grant from the National Crime Prevention Strategy from Public Safety Canada in collaboration with the Ministère de la Sécurité publique du Québec. The evaluation comprised of two parts. The first measuring the level and consistency of the implementation of the program within daycares. The second part measured the effects of the program on children through observations by parents and educators. Pre and post evaluations were done 1 week prior to workshop, 1 month post workshop and again 3 months post workshop, both with control and experimental groups. Written questionnaires were given to educators and phone interviews were conducted with parents, for both the control and experimental groups. A series of questions regarding probable skill use and behavioural reactions from children were asked to parents and educators. The evaluation clearly demonstrated Kidpower’s ability to successfully and consistently implement a program throughout 14 different groups with 130 children spread out in 7 daycares with great satisfaction from all parties involved. The effects portion of the evaluation was conducted with 100 children from 10 groups from 5 daycares (50 in the control group and 50 in the experimental group, the control group chosen with a similar profile to the experimental group) and 32 parent interviews were retained out of the 100 (14 in the control group and 18 in the experimental group) as well as 10 educators (5 in each group). The effects evaluation, although done with a small number, demonstrates that Kidpower skills produce a globally positive effect on children, beyond their natural learning over time, as well as a positive modification of children’s behaviour, particularly in their ability to set boundaries, better handle conflictive situations and adopt safer behaviours. The evaluation showed no adverse effects to the program and highly recommends to continue its deployment as well as a long term study of the program’s effect on children. In 2005, thanks to funding from the Todd Foundation, a study with children aged 8-12 was conducted in New Zealand. 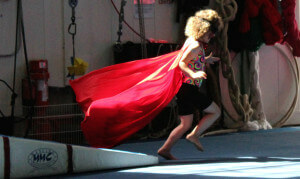 The research concluded that Kidpower workshops were highly effective in teaching students to seek help for safety, protect themselves from emotional forms of abuse, defend against physical assaults, and know how and when to use self defense techniques appropriately. Teachers and children further reported after three months that learning the skills increased their confidence and reduced their anxiety due to the positive, fluid, and enjoyable structure of the workshop. Children had the opportunity to empower themselves largely by applying concepts of safety during role-play exercises and developing confidence in the skills they were taught. In 2004, LaFrance Associates, with funding from the Lucile Packard Foundation for Children’s Health, evaluated our services for young children. Almost 95% of the parents and caregivers of over 550 Head Start children from multi-cultural, low-income families observed that their children were safer because of their Kidpower training. Parents and caregivers reported that most of these three- to five-year-old children remembered most of the skills four to nine months after the training. Over 90% reported that they personally felt better prepared to explain safety skills to their children. In 2002, Kim Leisey, Ph.D., conducted her doctoral dissertation, titled The Meaning of Self-Protection Through the Voices of Early Adolescent Girls: Torward a Grounded Theory, analyzing the effects of self-protection training on early adolescent girls trained by Kidpower and similar organizations. In her research she indicated five key categories necessary to the development of self-protection skills: safety, fears, help, staying safe, and confidence. Her research determined that Kidpower trainings integrated all elements that the study group defined as important and necessary to fostering feelings of self-worth and developing skills harmonizing verbal defense, physical knowing, awareness, and mental defense. Participants in the Kidpower trainings felt safer and more secure, and further noted they felt like they knew what to do in most conflict scenarios.